For mine operators, keeping an electric rope shovel in the bank is essential for optimum productivity and profitability. 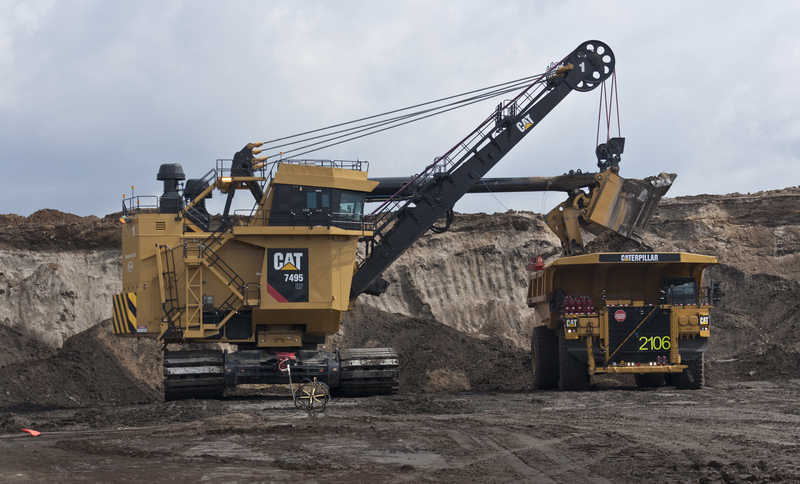 Recognising this vital requirement, Caterpillar has developed the Operator Assist—Enhanced Motion Control system, standard on new 7495 Series shovels and available for certain Cat 7495 and Bucyrus 495 shovels in service. The new software is designed to simplify machine operation, allowing the shovel to be operated in a manner that both promotes high production and protects the machine from inadvertent misuse. The new system can enhance production by reducing the occurrence of operating faults, such as crowd over-speeds and boom jacks. Depending on the specific digging practices followed in the mine, the Operator Assist—Enhanced Motion Control system can yield a number of significant benefits, including more reliable crowd rope replacement schedules, full design life for hoist ropes, reduced wear on crowd brakes, and longer life for hoist gear case components. By intelligently controlling machine motions under certain conditions, the system reduces downtime for maintenance and repair. This translates to added production and lower cost per ton—with a return on investment typically less than six months. When developing the Operator Assist—Enhanced Motion Control system, Caterpillar engineers reviewed the operating habits of numerous operators of all skill levels. Based on this practical information, the new system addresses specific operating situations that could potentially jeopardise both the machine and the production schedule. Hoist stall prevention: Over-crowding the dipper and excessive loading can stall the dipper and place detrimental forces on hoist gear-case components. The Operator Assist—Enhanced Motion Control system monitors force and optimises crowd/retract commands in relation to hoist speed. Optimising the loading cycle reduces stress and wear on hoist system components.